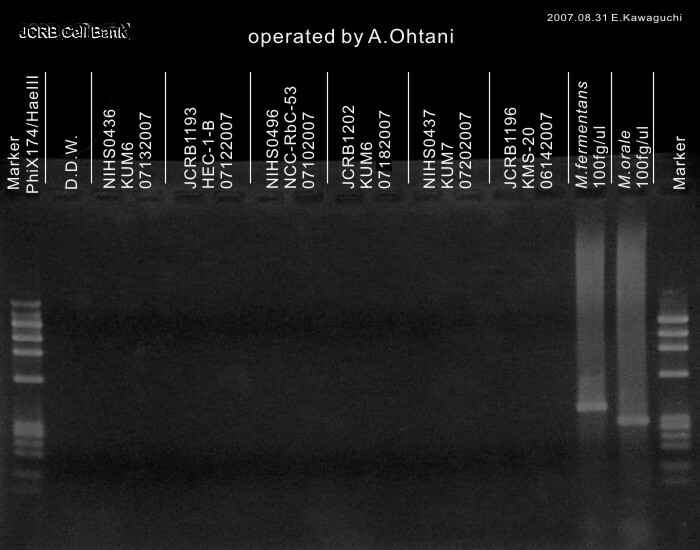 Endometrioid adenocarcinoma (G2) from human uterus body. 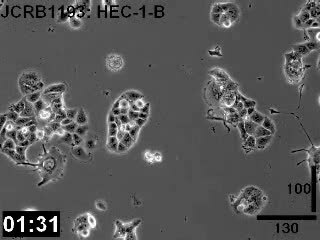 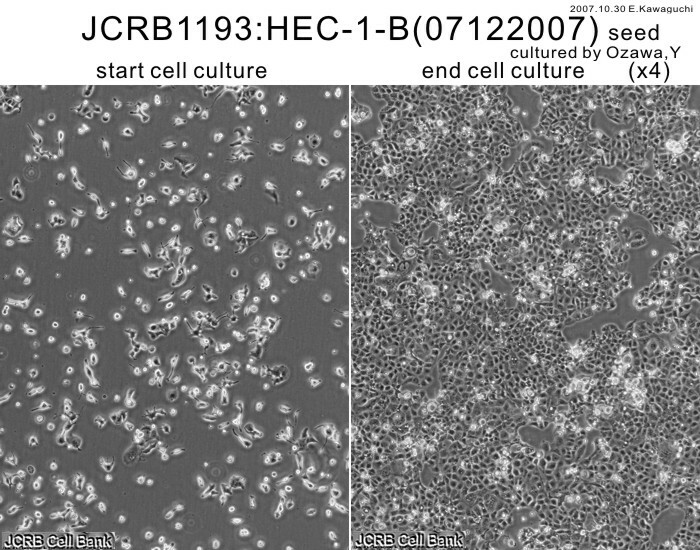 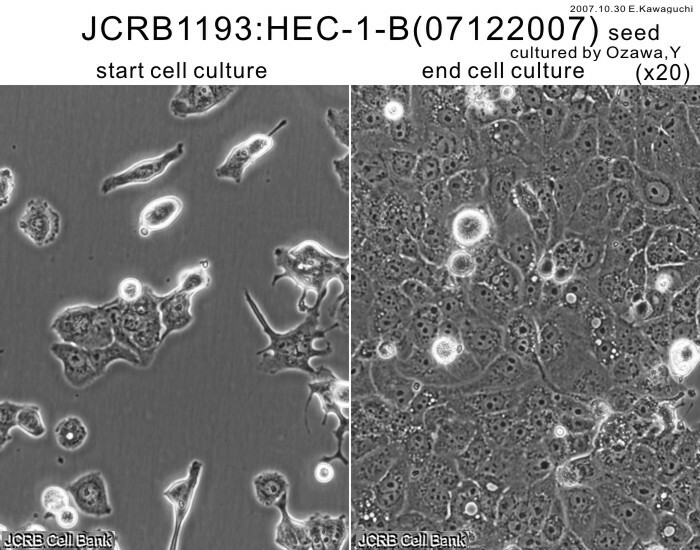 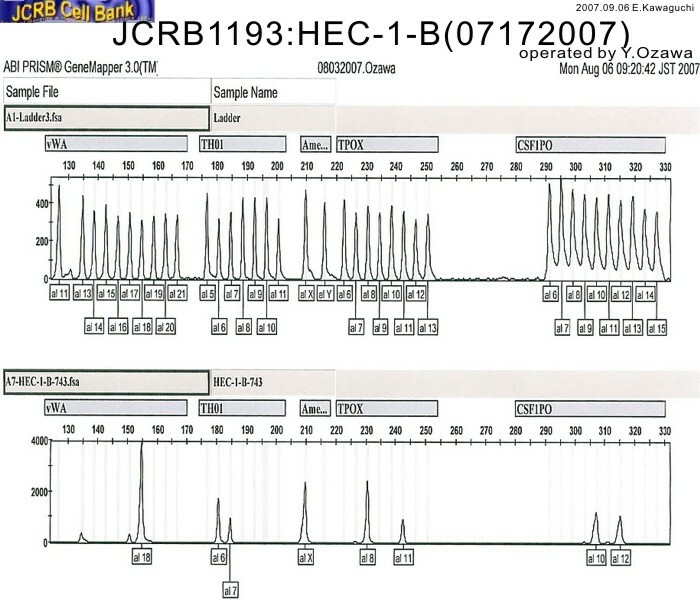 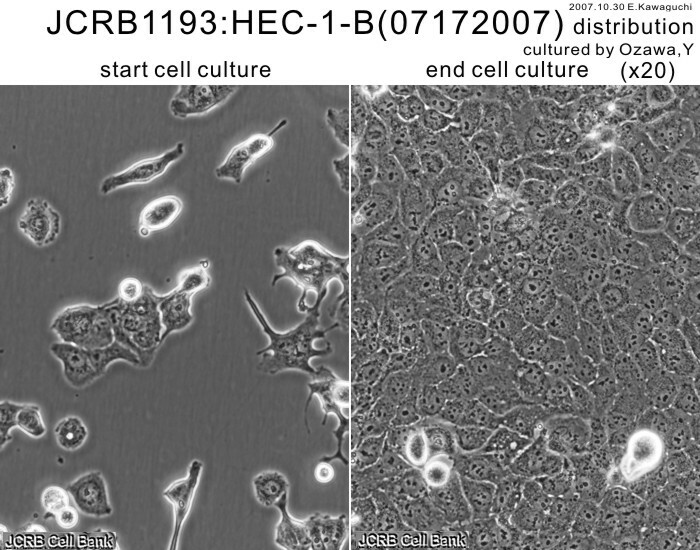 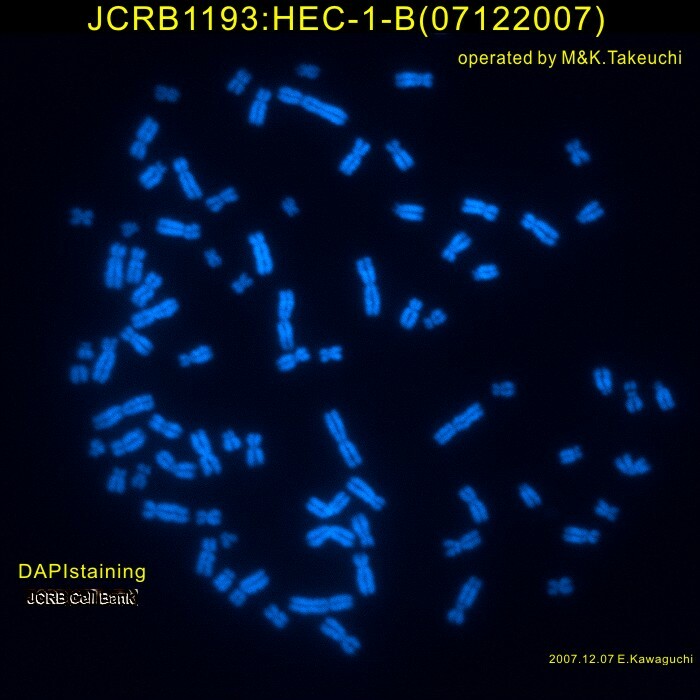 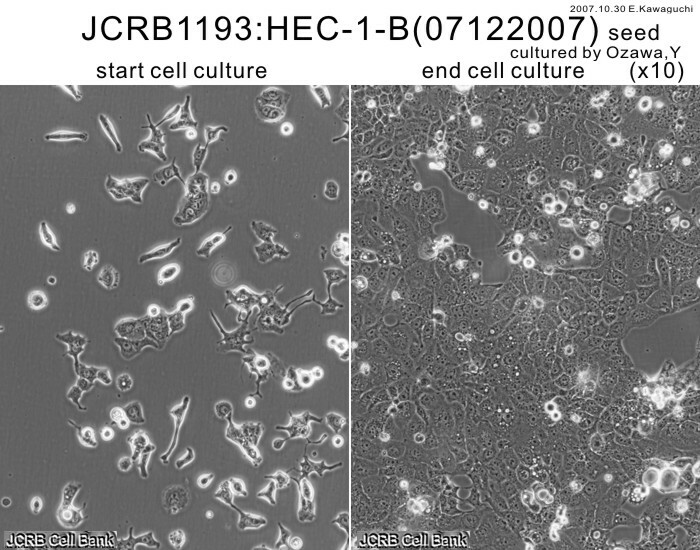 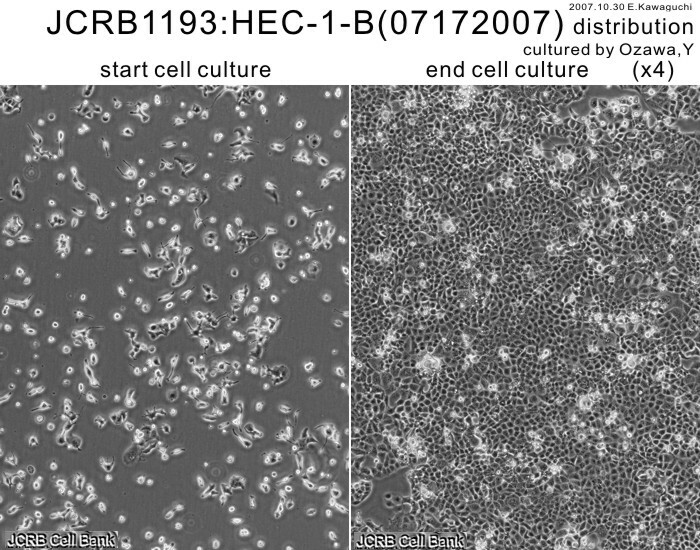 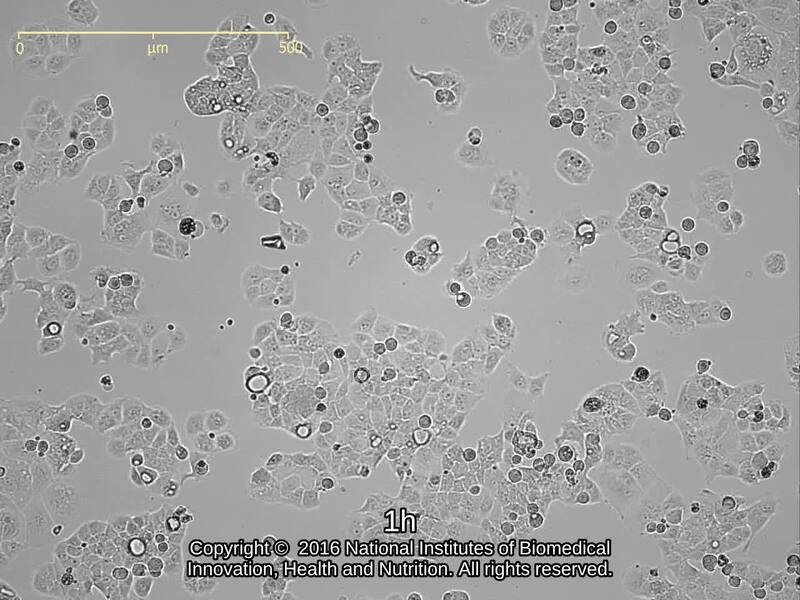 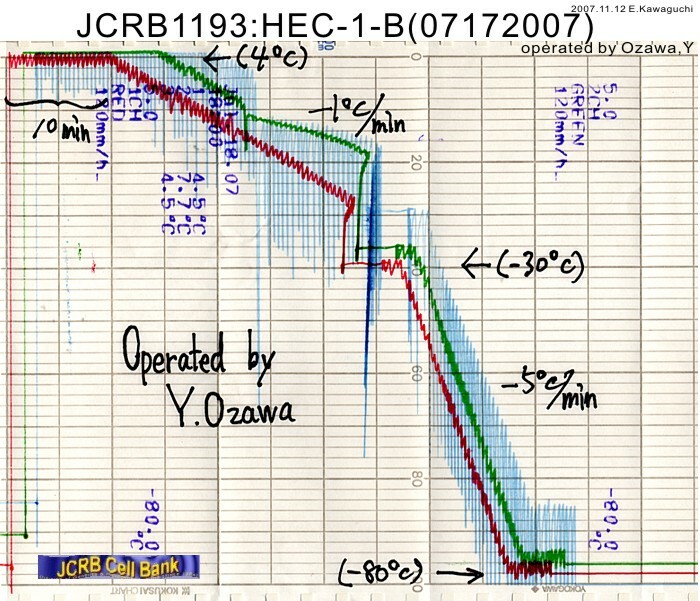 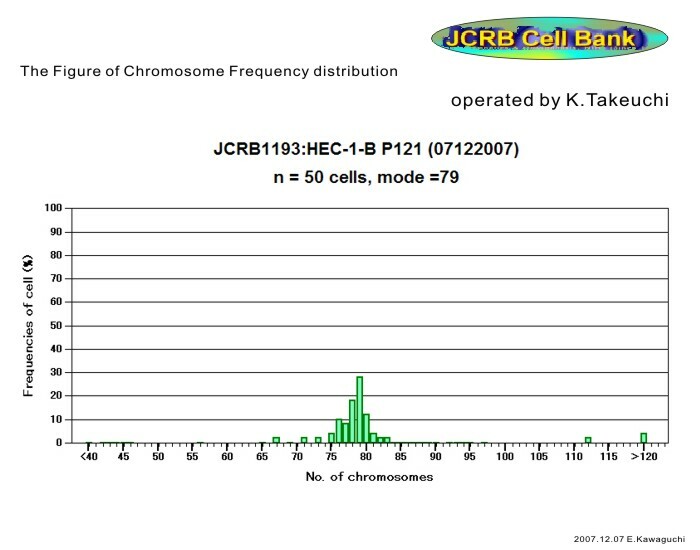 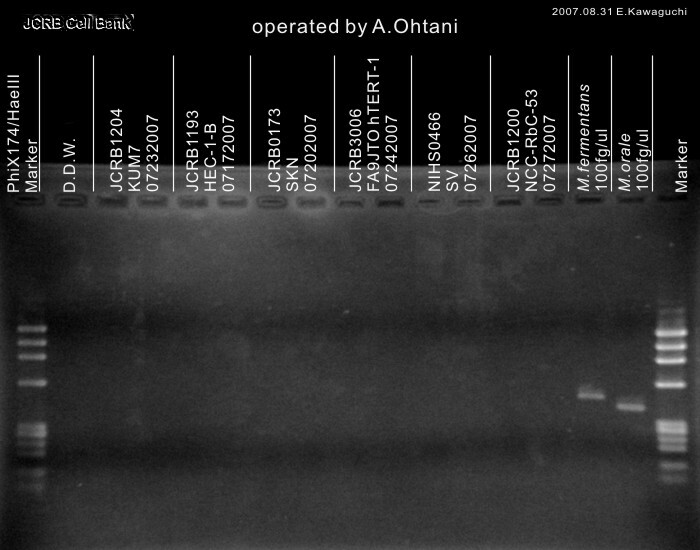 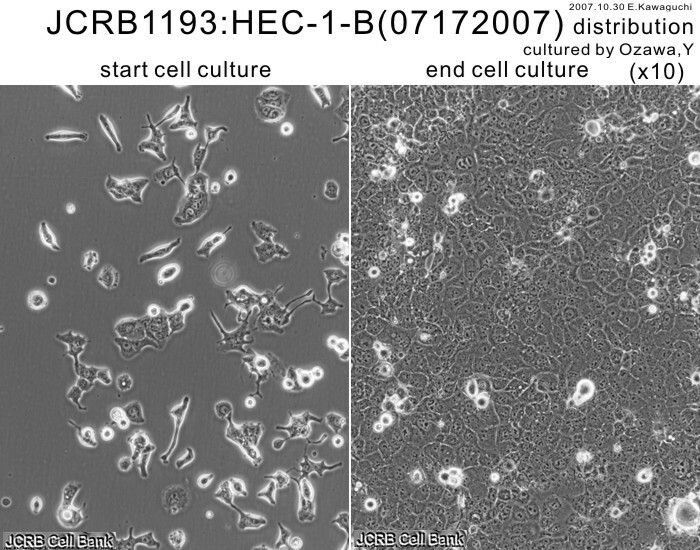 HEC-1-B is the same cell line with the HEC-BE. 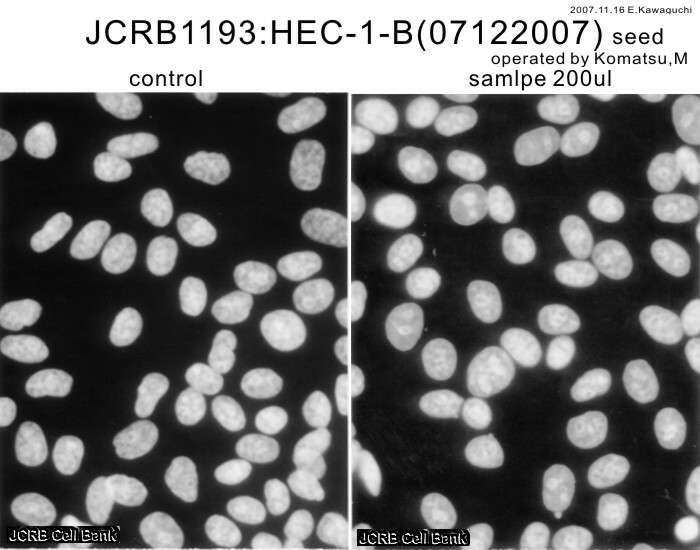 Eagle's minimal essencial medium with 10% fetal calf serum. 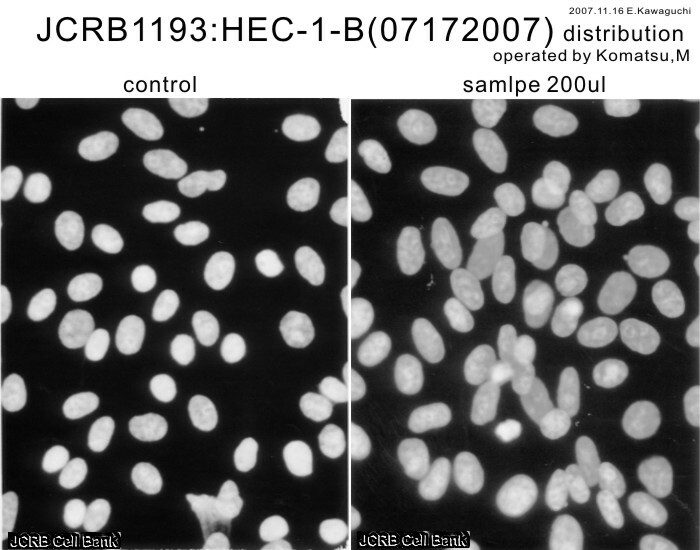 Eagle's minimum essencial medium with 10% heat-inactivated fetal bovine serum (FBS; GIBCO Cat. 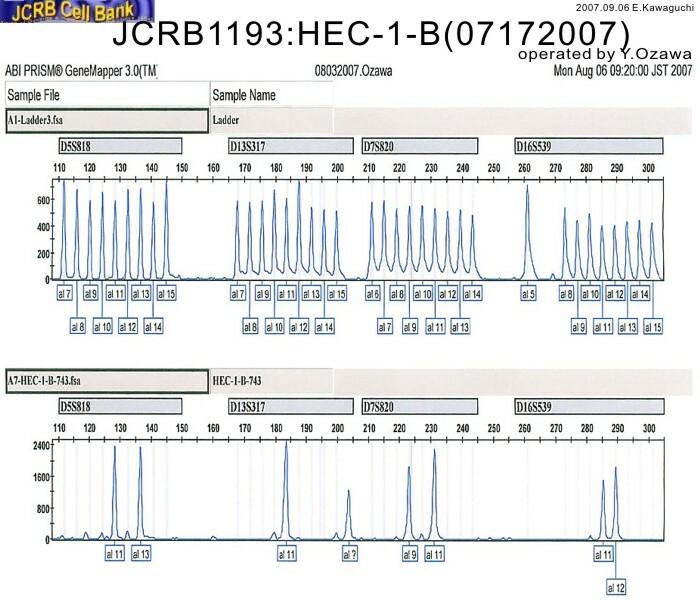 # 10091).